"If You Were Attacked Would You Have the Ability and Confidence to Protect Yourself and Loved Ones?" Wing Tzun (Chun) is the Ultimate Self Defence System … Guaranteed to give you the Ability and Confidence to Protect yourself and loved ones from attack in 6 months! 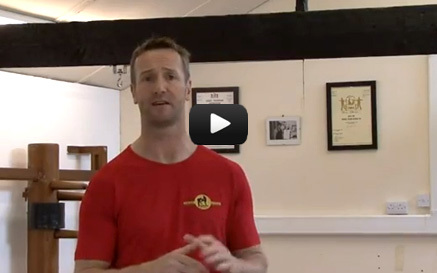 Watch our introduction to Self Defense video to see how we can help. Have you ever felt the Vital Need for realistic Self Protection should you be attacked? Wing Tzun (Chun) will give you the Skills & Confidence you need in 6 months. The System is fast to learn and easy to apply. Learn from the English Senior Instructor, Terry Garrick who has 30 years of Martial Arts experience. PLUS a fully equipped, private gym is provided for your benefit. Everyone is welcome so register your interest today to get on the road to giving yourself life improving self defense skills. Come along to our Harrogate based Wing Tzun Self Defense classes and claim your first 2 lessons for FREE! your 2 FREE Lessons today!! We respect your right to email privacy and will not pass your details to any third party. Wing Tzun Harrogate greatly improved my fitness & confidence. But more importantly, I now feel like I have the self defence skills to protect myself and my family.